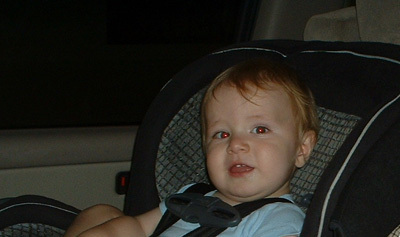 Chris rear-facing in the Evenflo Triumph at 1 year, 1 month old. He is 29.5 inches tall and weighs 23 lbs. Chris's sister April is also in the rear-facing album.